Here is a terrific view of the beautiful Jeff Rowland Baseball complex. This shot is from the 2009 State Championship Game. For more great pictures, click here! 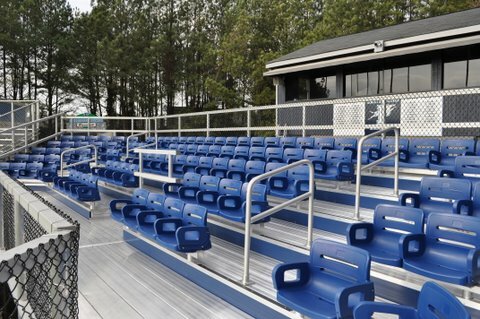 Pope Baseball is proud to announce the addition of a 124-seat Premium Stadium Seating section directly behind home plate! There are also 3 spaces reserved for wheelchairs. The addition makes Pope's baseball facilities among the finest in the nation! You can see more photos here.